My Summer Cottage in Babylon: Oh, Ricardo. Seeing as how tonight is another episode of Lost, I should probably talk about last week's episode. The problem is, it's been a week, and I've been drugged up and in a feverish haze for that week. Let's see what I do remember. 1. Richard is hot, guyliner and all. 2. All those people who claimed the island was purgatory back in season one may just be right after all. If that's the case, Damon and Carlton need to be punched in the face. 3. To my Catholic readers: Is that really how forgiveness works in your religion? (Honestly, I'm asking. I don't know.) Because if it is, then all I can say is holy crap (literally). And people think we Mormons are a crazy cult. 4. I still don't think Jacob is totally good. 5. Ricky Martin is gay. Oh wait...wrong Ricardo. Answers from this episode: The island is a cork, keeping hell/evil from spreading all over the world. No one comes to the island unless Jacob summons them. Richard was a slave on the Black Rock. The Black Rock is what destroyed the statue. Jacob made Richard immortal in exchange for his service. 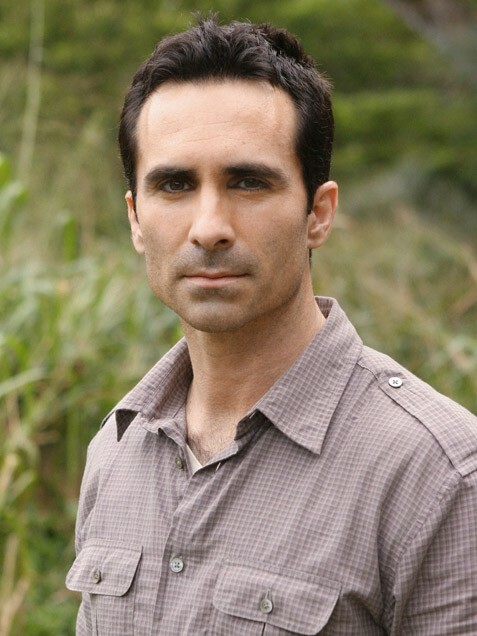 Nestor Carbonell deserves an Emmy for his acting in this episode.